What is Whiplash Injury and how concerned should I be? Whiplash refers to an injury of the neck that is the result of a sudden excessive force that causes the neck and head to jerk forward and then backward or vice versa, such as in an auto crash. 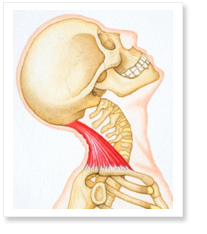 The injury typically affects muscles, discs, nerves, ligaments, and tendons in the delicate structure of the neck. It can also occur in contact sports, other activities, or work accidents that might involve a sudden impact. After diagnosis using physical examination and X-rays (CT scan, and/or MRI are sometimes also recommended), conventional medical treatments may involve ice applications, pain and anti-inflammatory medications, muscle relaxing medications, and/or physical therapy. A cervical collar may be prescribed as well. Because Chiropractic Physicians are uniquely trained in human structure or biomechanics, they are uniquely qualified to address the structural damage that occurs in a whiplash injury. While they may use many of the same diagnostic and treatment tools, the care plan is designed to correct the underlying damage, not merely to mitigate the symptoms.